Well, you may love the sophistication and functionalism of iOS apps, but do not possess an iPod or iPhone to experience them. An iOS emulator can be the perfect alternative for you. The electronic program can permit your computer to operate the apps in the iOS system. 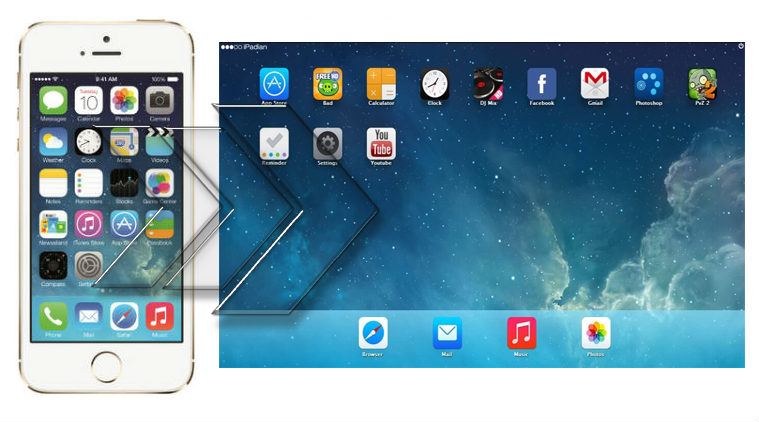 Here, you will come across the iOS emulator for pc free download that have been developed. In case you wish to use your Windows system to run the iOS apps, you can install iPad iOS emulator. 1 Best iPhone iOS emulator? Here are the 10 best iOS emulators for Windows/Android/PC you should know. Smartface is one of the most popular online iOS emulators. It supports developers to come up with native iOS apps with cross-platform functionality seamlessly. It is a feature-enriched software, that enables the users to reduce costs and boosts up the output. Besides, it does away with the dependence on iPhones and provides strategic solutions in mobility in short time. You will get complete debugging options in this software that will enable the developer to make new apps with more flexibility. It also provides plugins to integrate various coding features in it. MobiOne can be regarded as an emulator for iOS systems and stimulator for Windows PC. People use this software extensively to develop cross-platform apps for mobiles that run both on Windows and iOS systems. They use HTML5 to develop its apps with the help of open source frameworks like Cordova or PhoneGap. You can use this app for attuned devices as well as for developing native apps on the iOS framework. As the software works on the Windows OS as an iOS emulator, it can be used to develop status notifications to be incorporated on desktops, share web links and various apps through email and imprinting of apps with personalised buttons for the users. In iPadian emulator, the GUI is identical to iPad. It is one of the best iOS emulators spot on the market. Therefore, when it is used, it gives the same experience of using iPads on Windows systems. Evidently, people can get access to the app store and download the desired apps seamlessly. If you are having certain apps already installed in your system, you can get the benefits from your Windows computer when you use iPadian. This software is available in a free version and a paid version. In case you want to use the free version, it will prove good enough for iOS apps and games. This is another popular iOS emulator that enables the users to use ios emulator for android apps. Most of the time, developers use this program to test various types of apps, as it supports apps from both the platforms. The software comes with various enhances features, which can be used by the people in-store through the demo version. You can retrieve it to get a complete experience of the iPhone models. For the first 100 minutes of use of the app every month, no cost is charged. Thereon, the users need to pay $0.05 per minute for using the software. You can consider this software to be an Adobe AIR application which provides the users with the GUI interface of iOS and various facilities to run iOS apps on it directly. The purpose of developing this program was to imitate the GUI for mobile devices. In order to run Air iPhone, the AIR framework is necessary for programming. You may not find this emulator to be fully functional application, a change can be noted while running the apps, as compared to the actual device. You can get it free of cost and it is compatible with iPhone, Android Mac and Windows PC. This iOS emulator is an extension of Google Chrome that can perform in Cloud OS and Google Chrome. A number of important features are available in this emulator that provides the experience of Siri to the users, even when they do not but expensive iPads. Well, you will be able to create a personalised app in a few seconds. You can also use it as a screen saver and link up the desired web services with it. Besides, it provides full accessibility to materials stored on the cloud system. If you want to experience an iPhone interface without buying the expensive device, this emulator will provide you with the necessary features. It resembles the third generation of the device and people can try out default applications on it, that are present in standard iPhones. The graphics quality provided by the software are of top-grade and you can use features of an iPhone like notepad, clock and other specifications of the system. Besides, apps that are being developed can be tested using this emulator. This emulator is known for its user-friendly interface and support to run iOS apps on Windows systems. People simply need to download and install it to operate various games and apps. It functions seamlessly on Windows computers. Developers interested in beta testing Xamarin. iOS apps can use this software, as its primary purpose is testing underdeveloped apps. However, it is a paid app, for which users need to pay $25 per month and it enjoys compatibility with iPad, iPhone, Windows and Mac. The interface of App.io. Emulator allows it to run various apps. The users need to upload Android. apk file or iOS.appi bundle on it, that will allow them to run various apps on the system. If you want to use App.io for syncing your iOS apps and later stream them to your cloud storage devices, it can be done easily through this emulator. You can stream it from Windows, Mac or Android devices. The looks and feel that people get on using the emulator is similar to Apple devices. This iOS emulator is known for its support in playing games, which were originally developed for iOS systems on a Windows platform. As a gaming console, it is an excellent software. Released in 2010, it created a mark in the same year. It enables the users to play great, with great resolution and graphics. Presently, it can run games with 3D effects and that too, without any 3D systems or accessories. When you are looking for the iOS emulators, have a look at the features and cost. You can download and install any of the software listed above. If you are a developer, you can get a lot of benefits from, these programs.